1. Protective Style Challenge - It could be braids, twists, buns etc. Pick a style and a period of time to rock it! For example, for one of my protective style challenges, I did mini twists. I rocked them for several days and then did a twist-out. My goal was to see how long the style would last. 2. No-Heat Challenge - If you're a natural who loves to use heat, you could try to do a no-heat challenge. This will allow you to be more creative when coming up with new styles. Pin curl twist-outs, Bantu-knots, and roller sets will give you heat-less curls. 3. 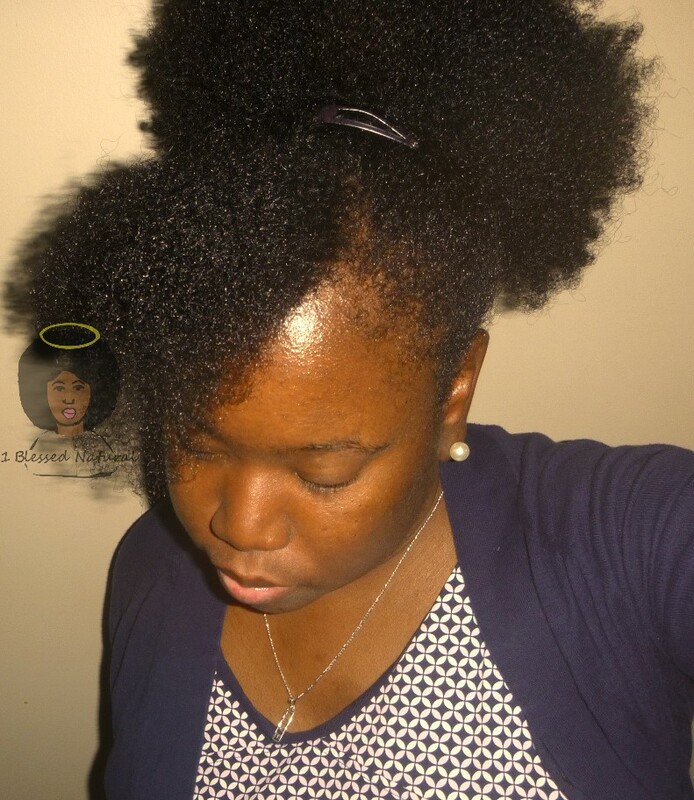 Hair Growth Challenge - Hair growth challenges are probably the most common challenges among naturals. Your goal is (of course) to see how long you can grow your hair. This means taking care of it to ensure you retain length. Deep conditioning, pre-pooing, moisturizing, and trimming (ends as needed) are all healthy hair practices. It is also good to be sure that you are getting the right vitamins and minerals through food and/or supplements and drinking water. The 30 and 60-day natural hair challenges are the most popular ones. You can also do natural hair growth challenges by year. 4. Wash Day Challenge - Do you have crazy wash days that take hours at a time? If so, you might want to try doing a wash day challenge. See if you can cut down on the time it takes you to wash and style your hair. If you have trouble detangling, apply a large amount of coconut oil beforehand. This should cut down on the amount of time it takes you to detangle. You can also try spreading out your routine to more than one day so you don't have to rush. 5. Style Completion Challenge - Does it take you a long time to finish your favorite style? If it does, try a style completion challenge where you try and get your time down to your target. For example, it used to take me four hours to finish my finger coils. This past September, I got my time down to three and a half hours. Natural hair challenges are a great way to keep your journey interesting. Don't forget that you can also do them with your friends and family! *BONUS* Healthy Hair Challenge - The healthy hair challenge is the most important one of all, because we should all strive to have healthy natural hair. I prefer health over length. I don't want a head full of long damaged hair, and you shouldn't either (smile). Do you plan on doing a natural hair challenge?